Our office in Zamora is formed by a team of professionals, tax advisors, labor consultants, financial advisors, who base their work on a model of commitment and service vocation applicable to all legal, economic and management areas. Belonging to a business network of recognized prestige is a differentiating fact that allows us to provide our clients, regardless of their size, the services of a multinational at the price of Traditional Counseling. From our office CE Consulting Empresarial Zamora we offer a specialized and comprehensive advice, in all areas of advice, legal advice, tax advice, accounting advice and employment advice, both for large companies and for SMEs and self-employed, always with the focus on client service, with the greatest possible rigor and the follow-up of our customer service area. 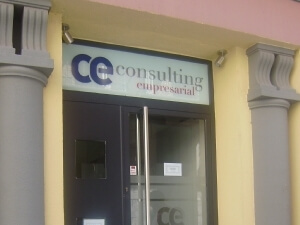 CE Consulting Empresarial. An innovative project, consolidated and close to our customers, which has grown year after year to become the leading office network in Comprehensive Business Advice today. We have been specialists in business advice and consultancy for 30 years, offering specialized and comprehensive advice. In CE Consulting Empresarial we offer our clients a comprehensive service, in all areas of advice, legal advice, tax advice, accounting advice and employment advice, but without neglecting the direct relationship with the client. That is why we have become the perfect alternative, both to traditional consultancy or management, as well as to large consulting firms. CE Consulting Empresarial is formed by a large network of highly qualified professional advisers, who also continue to grow their skills thanks to an exclusive system of internal training. In this way, and thanks to our extensive experience in all sectors of economic activity, we are able to find optimal proposals for your company, in a completely personalized way. We use the most advanced computer tools and innovative work methods. We like to be up to date, that way we can continue to maintain our values ​​of quality, proximity and efficiency. We are the largest business consultancy nationwide. Born in 1989 and with an experience that has endorsed us for 30 years, we are a reference in consultancy (tax advice, labor advice, etc. ), advisors and business lawyers. Currently, and with a continuous growth, we have more than 140 offices nationally, located throughout the Spanish geography. More than 160 national and international offices. We have an international presence, with offices in Asia, America, Europe and Africa. More than 600 professionals at the service of the entrepreneurs and their business. And we continue to expand day by day. What is the secret to our success? The trust placed by our clients in each of our expert advisors and in each of the services we provide. We are able to cover any aspect required by SMEs, large companies and self-employed professionals. We adapt to the needs and provide solutions. Leave us your personal details and we will call you to inform you about our services without any obligation on your part.